The hunt is over, experience a memorable Easter and celebrate with your family and friends at Dubai’s favourite venues at Emirates Golf Cluband Dubai Creek Golf & Yacht Club. 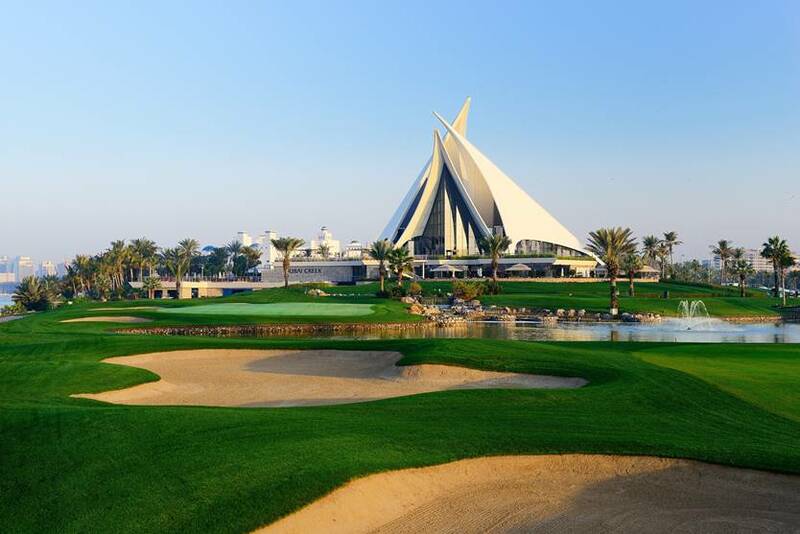 Offering a variety of fun-filled activities throughout the weekend, there is no better way to spend your Easter holiday than with Dubai Golf. Experience an unforgettable brunch celebration on Friday 14th April from 12.30pm to 3.30pm at Le Classique at Emirates Golf Club. Indulge in our ultimate starter and dessert buffet with endless main courses, including slow cooked rotisserie lamb, snails fricassée, crépe station and chocolate counter. Come along for a family friendly weekend brunch with an Easter twist on Friday 14th and Saturday 15th April between 12 noon and 3pm at M’s restaurant at Emirates Golf Club. Featuring a live carvery station along with plenty of Easter entertainment for the young ones including a bouncy castle, PlayStation pod and movie corner, as well as a visit from the Easter bunny and prizes to the winners of the egg hunt and best decorated egg. Celebrate Easter Sunday with a traditional lunch buffet on Sunday 16th April from 12 noon to 3.30pm. Boardwalk will have fluffy little guests on the day including bunnies and baby chickens to welcome guests upon arrival and keep them entertained along with a special Easter egg hunt for the kids. Visit Lakeview on Friday 14th and Saturday 15th April and enjoy a traditional Easter Brunch served from 11am and 3pm. Sit back on the terrace and enjoy scenic views of the creek while devouring a delicious buffet in the stunning alfresco setting. There is lots on the entertainment front too with an Ester egg hunt and a visit from your favorite fluffy friends (Bunnies). Meat lover’s paradise, Legends has lots in store for the Easter weekend. A bountiful double brunch in the day followed by a special Easter BBQ to indulge in as much or as little as you please. Enjoy the legendary Easter brunch experience on Friday 14th and Sunday 16th April, between 12 noon to 3.30pm. Indulge in an endless Easter buffet along with a wide selection from the à la carte menu. For the little guests there are tons of entertainment options to choose from, including arts and crafts, games and an egg hunt. Not the brunch kind? Pop into Legends for a laid back Easter celebration on Saturday 15th April from 12 noon to 3.30pm for an afternoon of relaxation with a delicious BBQ and buffet with complimentary access to the resort style swimming pool.